A South Wales school had the opportunity of a lifetime on February 2nd 2016 when they and nine other schools got to communicate with the International Space Station. 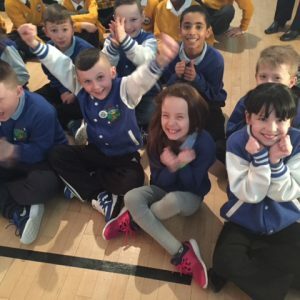 26 children from Blaenymaes Primary School students travelled to Liverpool to link up to a live feed to speak directly with Tim Peake. 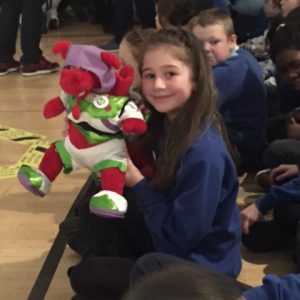 Schools from across the UK were invited to take part in the ‘Cosmic Classroom’ competition for their chance to win the opportunity to connect to space. The school children left home at 5.50am to make their journey to the North West and returned at 10.30pm the same day. 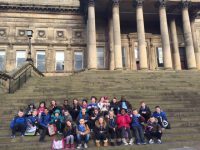 Exhausted, but exhilarated by the trip, Amy Smith, Class Teacher commented ‘the children were so well behaved, both the pupils and staff were equally excited – it really was a ‘once in a lifetime’ opportunity’. Students spent the day in space workshops, conducting science experiments and had the opportunity to ask questions to Kevin Fong who is a Space Medic for NASA before linking up live to Tim Peake. The school children got to ask five questions to Tim who also performed a series of magic tricks were enthralled by the whole event. 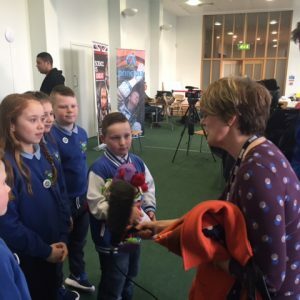 Two children gave interviews for ITV and BBC Wales and firm radio station favourites Badger and Siany from The Wave FM travelled with the convoy keeping all entertained. A live link was set up so that children back in Wales could see their friends live in action. Unfortunately the question posed by Blaenymaes Primary wasn’t selected, but the students have since tweeted Tim and hope for a reply to their ‘what does it feel like to walk in space?’ puzzler.